Help! My polymer clay melted! 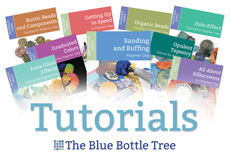 You’re fairly new to polymer clay and loving it! You’ve carefully sculpted and created some beautiful creatures and set them into the oven to bake. You set the timer and come back to find that your creations have melted, cracked, drooped, and/or oozed oil. What happened? You’ve asked online and everyone starts talking about the oven temperature. You’re pretty sure it was correct. They ask what brand you used. You’re not really sure because you bought your clay based on the pretty colors, not the brand. But you know there’s some Sculpey and Premo in there. Was the clay old? Was the oven incorrect? Is it normal for polymer clay to melt? Should you bake longer? What happened to cause the melted polymer clay in your baking tray? Polymer Clay Melted – Not. Well, it’s easy to assume that the problem is your polymer clay melted. But what if it wasn’t polymer clay? Oops! No, polymer clay does not melt. But plasticine modeling clay does. If your clay melted in the oven, it was a type of modeling clay, also known as plasticine or plastalina. And you might be surprised to know that this is a very common mistake. Sometimes this happens because you pick up a bar of modeling clay along with your polymer clay. Other times it happens because you get some clay from someone else and assume it was polymer clay, but it was actually plasticine. They’re very different types of clay! Polymer clay is an oven-hardening art clay made from PVC (vinyl), plasticizer, pigments, fillers (like kaolin) and a touch of oils. It gets slightly softer as it warms up but begins to solidify and harden when it reaches about 130°F (55°C). Polymer clay doesn’t melt or get runny the way that wax or oil does. Heat makes polymer clay turn into a solid. Plasticine is a modeling clay made from wax, pigments, fillers (like kaolin), and a lot of oils. It is hardest at room temperature and never becomes solid. It will melt in the heat. Polymer clay and plasticine feel very similar. They’re both brightly colored blocks of putty that feel sort of waxy and oily when you squeeze them in your hand. They both soften with the heat of your hands and get softer and smoother as you work with them. Both polymer clay and plasticine are used for sculpting, but only polymer clay can be hardened to create lasting objects. Plasticine is often used in the animation industry for stop-motion animation (claymation). It’s also used as a “first” sculpture when making lost wax or other multi-stage casting techniques. And, of course, plasticine is the modeling clay that we all learned to use as children in primary school. If you set a block of polymer clay or plasticine in front of someone who had never worked with either, they’d be hard-pressed to know which they were holding. At room temperature, polymer clay and plasticine feel very much the same. But how could you make this mistake at the store? Isn’t polymer clay labeled? Yes, it is. But you’d be amazed at how easy this mistake is to make. Here’s the clay display at my local craft store. I’ve labeled the sections in the photo. If you were totally new to polymer clay and didn’t yet know the brands, how would you know which of those brightly colored clays were polymer and which were plasticine? They’re right next to each other and sort of intermingled. To make matters even worse, sometimes polymer clay and modeling clay come in packages that look almost the same. Here you’ll see multi-packs by VanAken International of plasticine and polymer clay. Both these clay multi-packs are made by Van Aken International. On the left is plasticine and the right is polymer clay. They’re not the same thing, but as you can see, it’s easy to confuse them. When Kato Polyclay first came out back in 2002, it came in a 3oz block with the same smiley face on it. Yes, they wisely changed that packaging quite quickly! Kato Polyclay from 2002. Note that it had the smiley face on the package when it first launched (on the left). They quickly changed the package to look less like their plasticine Claytoons product. If your polymer clay melted, maybe it wasn’t polymer clay. Multi-packs of plasticine modeling clay look very much like they’re just a no-name brand of polymer clay. Another accidental source of plasticine is cheap, no-name “polymer clay” that is found in dollar stores or online marketplaces like ebay or Amazon. Many times the listing information or the labeling is not terribly accurate and you’re not exactly sure which you have. In general, this stuff doesn’t make very good polymer clay, so it’s usually best to stick with name brands. What Happens When You Bake Plasticine? When you assume you have polymer clay, but instead have plasticine, and then bake it in the oven, it will melt. The oil oozes out of the clay and drips down into a puddle. The shape softens and slumps and cracks might appear on the surface. If you try to move the item while it’s still hot, the melted clay will smear and run. 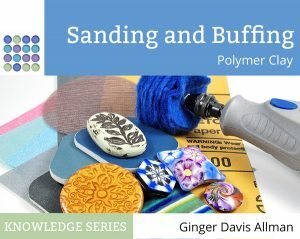 If you’ve mixed polymer clay and plasticine in the same project, you’ll have bits of cured polymer clay along with melted plasticine. While it’s still hot, the plasticine part will be soft like frosting. But after it’s cooled, it will feel like it’s unbaked (but more crumbly). Here’s what happened when I twisted plasticine (purple) with polymer clay (blue) and baked it. Notice the oil spot on the paper underneath. If your polymer clay melted, it’s not really polymer clay. It’s plasticine modeling clay. Don’t do this intentionally. The smell is terrible and I have no idea if it’s safe or not. Plasticine is not meant to be baked. Interestingly, when I mixed 25% plasticine with 75% polymer clay, they blended together nicely. Both clays contain some of the same ingredients and will therefore mix easily. This is one of the reasons it’s so common for this mistaken identity to happen. You could accidentally mix colors with plasticine and polymer clay and be unaware that you’d done it. And even more interestingly, when I cured the piece made from that mixture, it baked up hard as can be. It didn’t melt. It did, however, have a slight oil spot on the paper and had some mid-sized cracks. I’ve encountered someone on a group who advocated for using inexpensive plasticine to color polymer clay. I don’t recommend doing this, but it is technically possible. Let’s say you have some unlabeled clay and you’re not sure if it’s polymer clay or plasticine. How can you tell the difference? The easiest way to know for sure is to heat it up. Take a pea-sized amount, lay it on a sheet of paper on a baking tray, and put it in the oven for 10 minutes at 275°F (135°C). Stay close and watch it and take it out if you see smoking or anything awful like that. Now poke it with a popsicle stick or something disposable. Polymer clay will be hard(ish). But plasticine will be soft like butter and you can smear it easily like butter on hot toast. Tell me your story. Have you ever accidentally baked plasticine, assuming it was polymer clay? Have you ever had melted polymer clay and didn’t know what went wrong? Tell me in the comments below! Nope, I don’t let plasticine over my studio’s doorstep. But I have used a no-name brand of polymer clay that contains way too much plasticizer. As you work with it and it warms up, it starts becoming like bubble gum and loses its shape. Interestingly, if you let your sculpture cool down before baking and insert it into an oven at the correct temperature, it starts curing quickly and doesn’t slump. I don’t take any chances with this clay though – I use it to blend into old clay to improve the texture, or I roll it through the pasta machine between sheets of blotting paper to leech out some of the excess oil before I work with it. For inexperienced clay sculptors to check whether they are working with polymer clay or plasticine, would it be possible to recommend a sniff test? Plasticine is often fragranced with some kind of sweet perfume or otherwise smells like kindergarten. I can’t describe it better than that. I’ve never come across polymer clay which is perfumed (but I suppose it might exist) and the plasticizer in polymer smells different from plasticine (I can tell the brand by smell). You bring up a good point, and I’ll add another bit in the article about off-brands that might be mislabeled. No, the sniff test won’t necessarily work. And I want to be clear, plasticine will not be easily confused with polymer clay once it’s heated in the oven! The gooey nature of cheap polymer clay does make the confusion easy before baking, but one it’s hot, you’ll know if it’s plasticine or not! I bought what I thought was polymer clay at a yard sale! I had not previously used polymer clay. So I thought I would try this inexpensive ‘clay’. I made several small items with the ‘product from the yard sale’ and baked it and timed it properly BUT on checking it noticed some parts melted totally some parts baked hard! Total mess!! It was then I realized plasticine and polymer clay may look alike but it is not the same. Lesson learned! !